Microsoft's latest security research has shown that the rise and rise of the botnet is beginning to have a profound effect on the internet. The software giant courted controversy recently by suggesting that infected computers should be quarantined, but despite the furore the company's latest security research (SIRv9) has highlighted the growing problem. According to Microsoft's Adrienne Hall, networks of infected computers are playing a much greater role in cybercrime. "We've known for years that an online black market exists and that cybercrime specialists trade with each other," Hall said. "The insight in SIRv9 shows that, in many cases, certain classes of malware are being used with specific botnets to propagate different forms of cybercrime." The United Kingdom appears to be faring relatively well in terms of protection, with figures from Microsoft's own anti-virus software (Security Essentials) showing that less infections were removed in the second quarter of the year than the previous period. In European terms, Spain tops the infections list with 382,000, ahead of France and the UK. Other positive notes suggested that the loss of personal identifiable information (PII) fell by 46 per cent year on year and the number of new vulnerabilities in software fell by 7.9 per cent. "Despite signs that developers are writing more security-enhanced code, and data breaches are going down, the botnet threat in SIRv9 shows we must remain vigilant," Hall said. 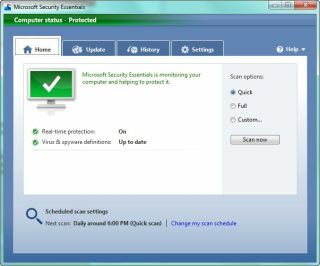 "Our advice is to use up-to-date anti-virus software and a firewall, install security updates for all software, upgrade to the latest version of operating systems and products such as Windows 7 and Office 2010, employ strong passwords, and, for businesses, implement and enforce a robust security policy."